Russia! Snow! A Magical necklace! Wilderness! Darkness!- Gimme. Gimme. Gimme!! 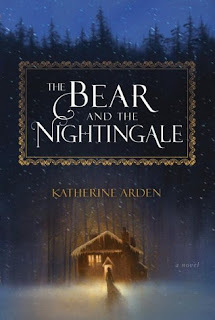 Have you heard of The Bear and the Nightingale? New to me but sounds interesting-- hope you get a chance to read and enjoy soon. Ooh Russian fairy tales. It's nice to see Russian folklore and stuff get more attention. And a winter theme too- sounds great!